Starting with the Resource Guide is the best way to get the most our of the Edu-Kit. 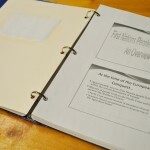 The Guide provides a stress-free way to use the Edu-Kit materials in your group. 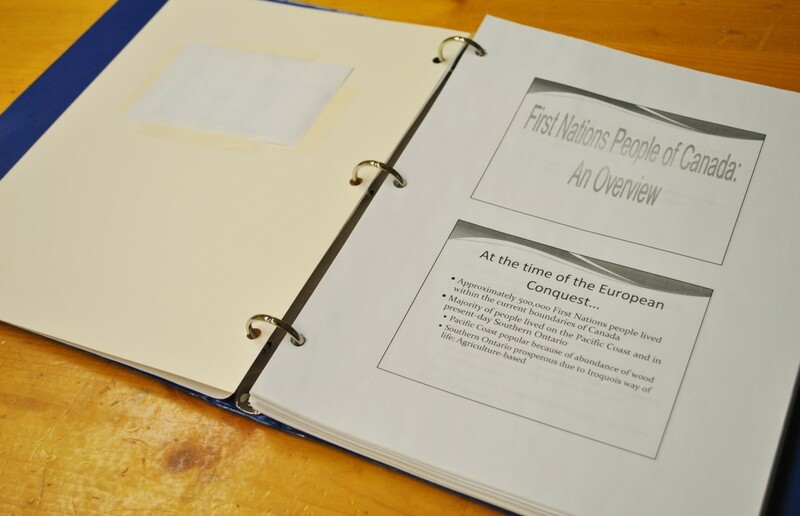 Lesson plans on First Nations History and Archaeology are included, along with customizable PowerPoint slides on a USB drive and artifact identification tools. The Guide also includes additional history information for grades 6-8 or advanced learners, worksheets, and activity pages, along with First Nations myths and legends, and project ideas. In addition to the Guide, the Edu-Kit includes a variety of books suitable for learners from 6 to 14 years old. The books are full of different materials you can use to complement the lesson plans in the guide and include colouring pages, traditional songs, historical information, a biography of the Jury Family, and research materials for archaeology and history projects. The most exciting part of the Edu-Kit is the artifacts. Each of the artifacts is a genuine, irreplaceable piece of history and date from the Paleo-Indian Period (11000-9000 B.C.E.) 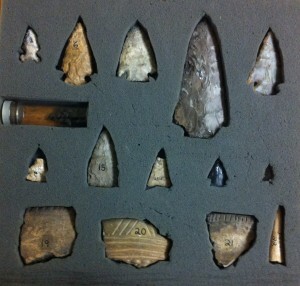 to the Late/Terminal Woodland Period (900-1600 C.E. ), and vary in material and purpose. 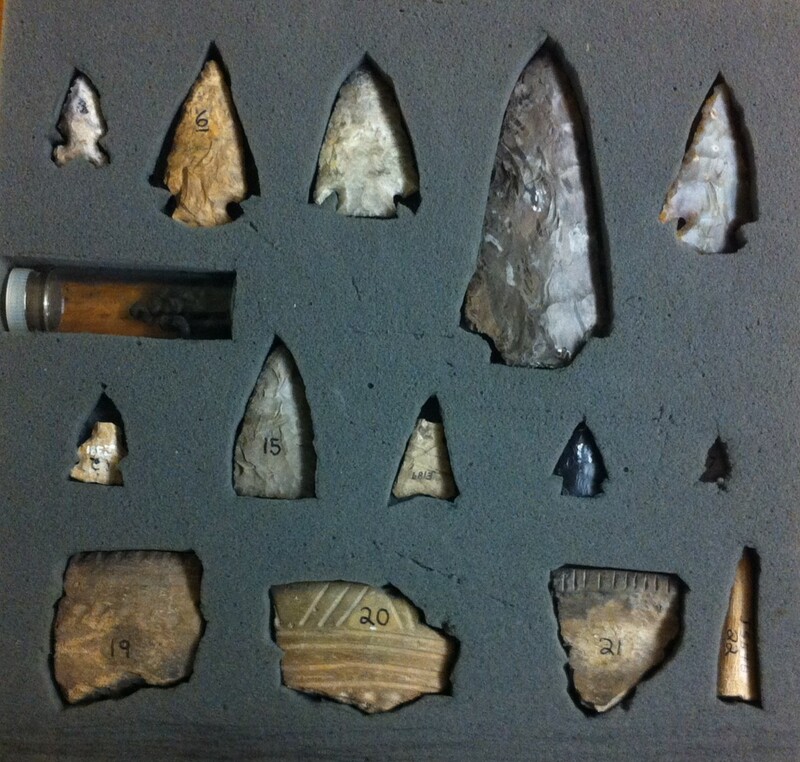 The kit includes artifacts such as pottery sherds, ceramic pipes, animal bone ornaments, and stone projectile points. The Edu-kit is ideal for students who work at their own pace and is also an excellent option for groups on a tight budget. The EduKit is available to rent for $50/2 weeks. If you are interested in renting our Educational Kit, contact Katie, our Learning Coordinator.